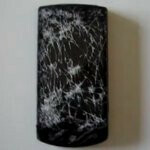 Sadly, one LG Optimus 7 handset owner experienced something truly shocking recently as his handset was run over by a car. Although details surrounding the unfortunate event are rather slim, the handset is inevitably wrecked during the process – albeit, it’s still showing some signs of life. Watching the video below, you can clearly see a handset that’s no longer pretty looking to the eye. Despite the visible signs of destruction, such as the recognizable shattered screen, it’s surprisingly still kicking and beating since it’s able to execute most operations. Of course the screen is shattered, but it’s still more than responsive to measure a press or gesture. Additionally, the handset’s speaker is still functioning, as it’s able to pump out some decent sounding tones. For the most part, it’s still operational and usable, but we can’t say that he’ll want to continue using it in this current state. All in all, it goes to show that today’s modern smartphones are sure to withstand some serious beating, but don’t expect them to look pretty. FUNCTIONAL?!?!?!?!? !, REALLY?!??!?!. Since when does a touch screen phone stay functional after the screen smashes this bad. Apparently, you don't own a touch screen GENIUS... Oh' by the way. I'm selling a functional Thunderbolt. Would you like to buy it?? ?